BMG has been appointed as an official logistics distributor for automation technology specialists, Festo South Africa. 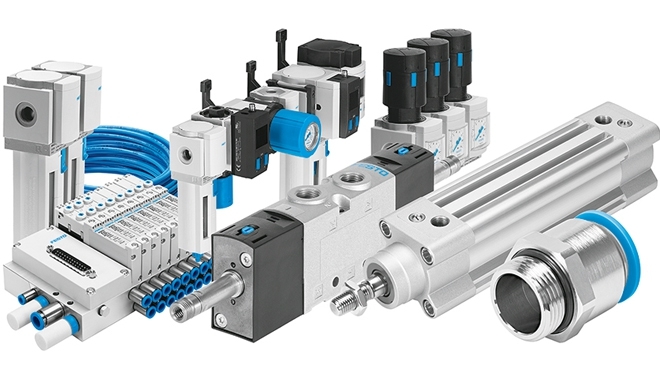 “Festo’s extensive product range – which encompasses electromechanical and pneumatic drives, valves, motors and controllers, as well as handling systems, sensors and process automation – is now available from BMG,” says Wayne Holton, BMG’s fluid technology manager. “The addition of the Festo product range to BMG’s sales network, forms part of the company’s expansion strategy, geared to enhance the steady growth of the South African operation over the last 40 years. Currently, Festo products are available from 12 BMG outlets in South Africa’s major centres and this distribution reach will grow as the business develops throughout BMG. Festo automation systems enhance BMG’s extensive product range, which now encompasses bearings, seals, power transmission components, electric and geared motors, as well as belting and fasteners. BMG also distributes filtration, hydraulics and pneumatics systems; tools and equipment.